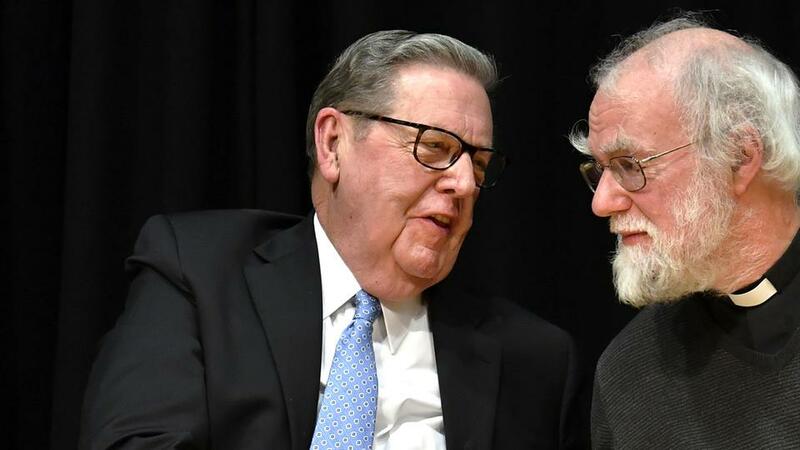 In a series of gatherings held at the University of Oxford, Elder Jeffrey R. Holland, a member of the Quorum of Twelve Apostles of The Church of Jesus Christ of Latter-day Saints, met senior theology scholars and faith and government leaders (22-25 November). He was accompanied by his wife Sister Patricia T. Holland. ﻿ During an event held at Oxford’s University Church of St. Mary the Virgin, Revd. 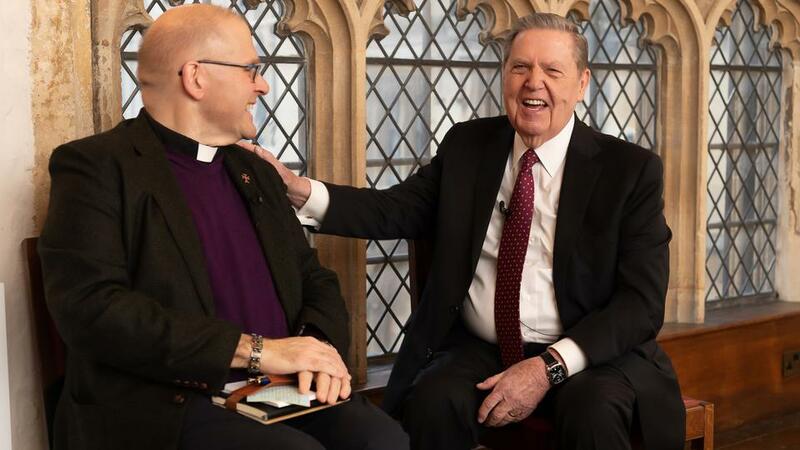 Dr. Andrew Teal (Chaplain, Fellow and Lecturer in Theology, Pembroke College), joined Elder Holland in an open conversation about Latter-day Saint beliefs. Elder Holland was also one of four key presenters to address the topic ‘Inspiring Service’, part of a distinguished panel chaired by Revd. Dr. Teal, on how Christian doctrine can be translated into Christian practice as we serve one another. 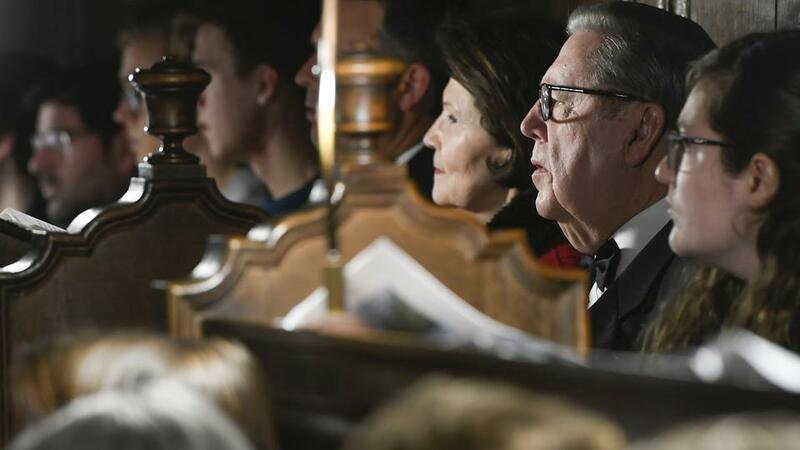 Addressing a capacity multifaith audience at Pembroke College, Elder Holland joined Rt. Hon. and Most Revd. Lord Rowan Williams who served for ten years as Archbishop of Canterbury, the Church of England’s most senior clergyman. 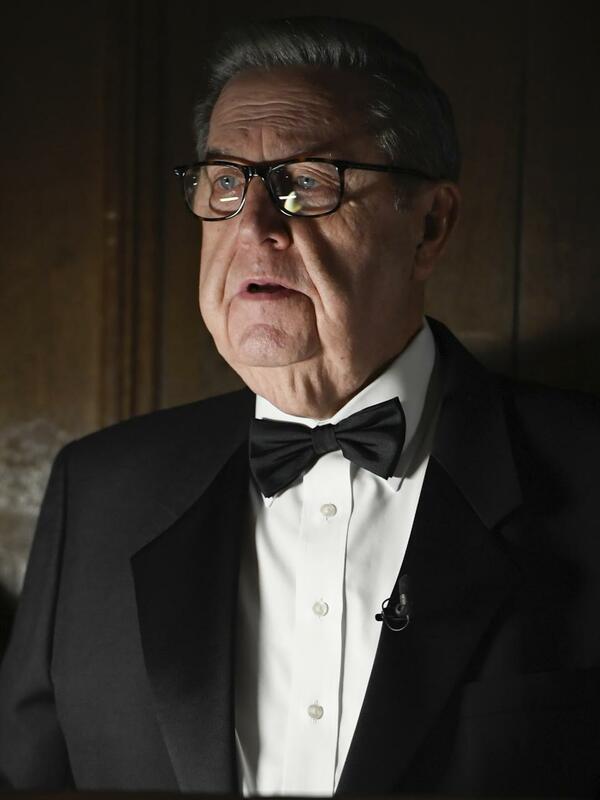 Lord Williams is now a member of the House of Lords and Master of Magdalene College, Cambridge University. The other two prominent panelists were Professor Lord David Alton, Roman Catholic Independent Crossbench Life Peer in the House of Lords; and leading Methodist minister, Revd. Professor Frances Young. As the oldest English-speaking university in the world, the University of Oxford enjoys a rich religious heritage. Theology was first taught there over 800 years ago, and the institution has been printing Bibles for many centuries.